The Development starts off in a dramatic and tragic way as TV news reporter Cora drives home after a busy week at work. A young woman lands on her car from a bridge over the road. The woman’s death is ruled a suicide but her family – and Cora – aren’t so sure. She begins to investigate and soon uncovers links to a planned housing development, local protests, anonymous threatening letters, a dodgy businessman and a possible cover-up by the police. Could they all be connected with the woman’s death? I really enjoyed reading about all the stories which were covered on the breakfast show. The author worked as a reporter in newspapers and on tv herself so has used her insider knowledge to great effect, showing the fast pace of live tv and how quickly stories can escalate or indeed turn into a non-story. The pressure, but also the excitement, of the job comes across well through Cora and her team. I really like the character of Cora. She is dedicated and professional, determined and principled. The story is mostly told from her point of view but smaller asides from some of other characters hints at something serious being covered up by more than one person. The book is a crime investigation but a bit unusual, not being police led. I don’t like gory or graphic incidents in books but do enjoy a mystery adventure (yes, a Famous Five fan in my youth!) so this kind of book is right up my street. 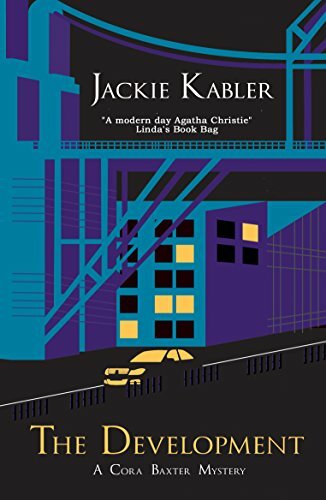 As with Jackie Kabler’s other books, her engaging style kept me guessing till the end. And the final dramatic chapters had me tapping my kindle quickly, desperate to find out how it would end. I know the author has suggested that this will be the last outing for Cora but I really hope that she may reconsider at some point and there will be more mysteries for her to solve. Cora discovers that seventeen-year-old Leanne has been protesting against a new housing development, angering the powerful establishment. Leanne’s death is ruled a suicide but, when puzzling information comes to light, Cora decides to investigate further. She might not know what an unscrupulous businessman, a suspended police officer and hate-mail sending neighbours have to do with the case – but she does know there is a news story there. With her eccentric camera crew on hand to help, can Cora work out what happened in the days before Leanne’s death? And was it really suicide after all? Jackie Kabler is the author of the Cora Baxter Mysteries, a series of murder mysteries set in a television newsroom. She worked as a newspaper reporter and then in television news for twenty years, including nearly a decade on GMTV. 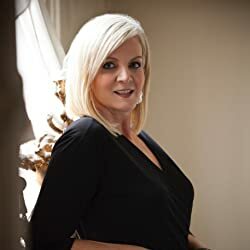 She later appeared on BBC and ITV news, presented a property show for Sky, hosted sports shows on Setanta Sports News and worked as a media trainer for the Armed Forces. She is now a presenter on shopping channel QVC. Jackie lives in Gloucestershire with her husband, who is a GP. I have this on my summer specials TBR – and I rather like the front cover quotation!